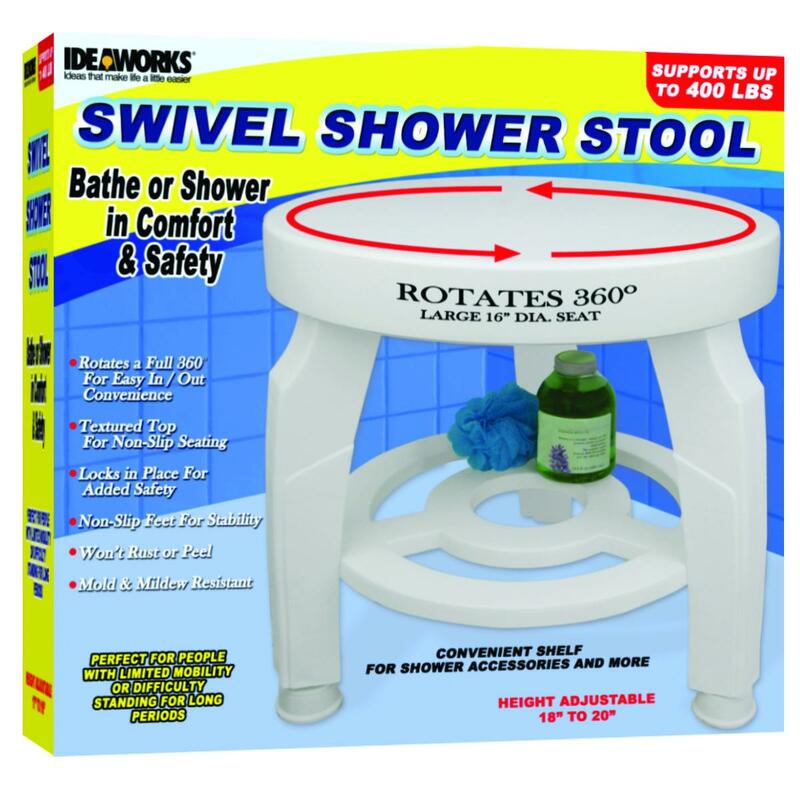 Height Adjustable from 17" - 19"
The ultimate shower stool. Get in and out of the tub with ease. Rotates 360 degrees for full freedom of movement inside your tub or shower. Wash and rinse your entire body without standing. Compact size is perfect for smaller spaces. Get in and out of the tub with ease.